Did You Know Valentine’s Is Next Week? We are at six days and rapidly counting down. Are you ready with your Valentine’s treats and cards? If not, I do have a couple more ideas to share with you this week for your Valentine’s gift giving. 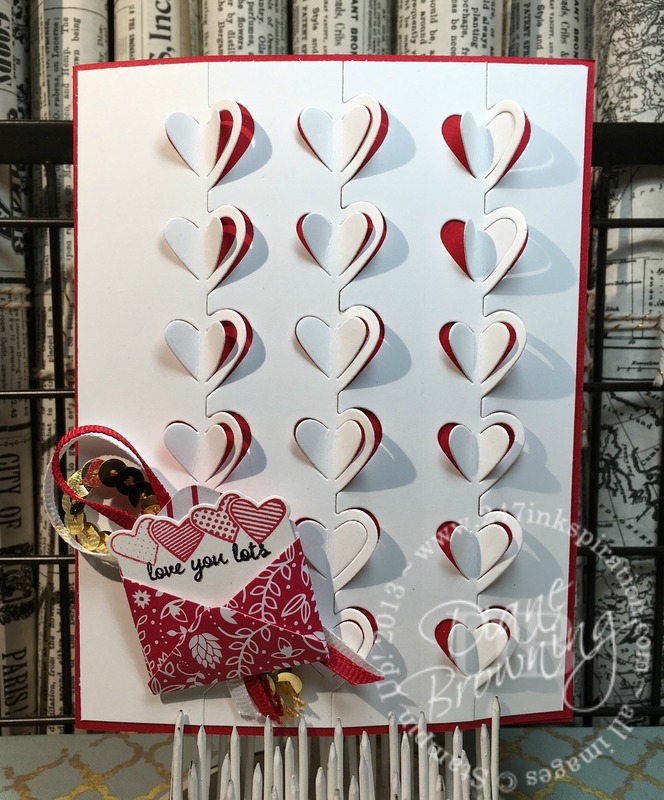 The Love Notes Framelits set has this cute heart border die. I sometimes struggle with these borders because I’m not sure where to put the border. I’m either too far to the left or too far to the right and I think it looks not quite right. Today’s card was inspired by one of the Stampin Up Artisan’s. She used this heart border to make a design with all these different colors on the front of her card instead of using it as a border. It looked amazing. I was going for a similar look but kept it simpler with just Real Red and Whisper White. I think she also had a few more columns of hearts too. This is what I came up with. I still love those mini envelope dies in the Love Notes set. They are tiny and so adorable. And I love that the Framelits set includes dies for stationery to fit in those mini envelopes. Here’s a couple tips when you make something like this. 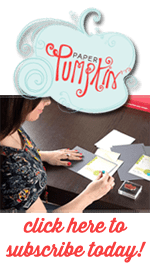 Start your die cutting in the center of your card stock. Then work to the left or to the right, one column at a time. And alternating a left column and then a right column. And left again, then right again. The border die cuts all the way from one end of the card stock to the other. There’s really no way to avoid it. So, you end up with all these strips. Try to keep them in order as you cut them out. Then turn them all upside down. I used my tear & tape all the way across the top of the card and then the bottom to hold it all together. Once all the strips were taped together, I adhered it to the card base as one piece. This allowed me to center it on my card base. Yes, you can see the cut lines at the top and the bottom, but hopefully they aren’t too noticeable. If they bother you, you could cover them with washi tape or ribbon or something else. Check back this Friday for more Valentine’s ideas.